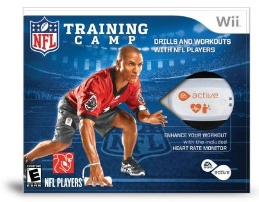 EA Sports™ has announced that there are two new titles available today for the Sports Active franchise, which has become the top rated interactive fitness training title for the Wii (Metacritic.com, November, 2010). EA Sports Active 2 is now available in North America and will be available worldwide on November 19th. 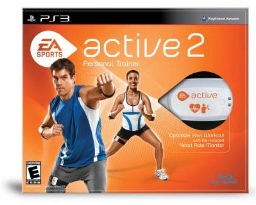 EA Sports Active 2 is a new suite of digital fitness programs available on multiple gaming consoles focusing on improving muscular strength, endurance and flexibility, while providing an intense cardio workout. Featuring the Total Body Tracking wireless control system that combines a heart rate monitor and motion tracking technology, EA Sports Active 2 provides an effective workout that delivers accurate, measurable results. Additionally, users will now be able to track and share their workout stats, including heart rate on the new EA Sports Active 2 online hub (Internet connection and EA account required). This entry was posted on Tuesday, November 16th, 2010 at 8:00 am and is filed under Everyone, National News, New Releases, Simulations, Sports. You can follow any responses to this entry through the RSS 2.0 feed. You can leave a response, or trackback from your own site.